BEIJING CHINA – HARMAN International Industries, Incorporated (NYSE: HAR), the premier connected technologies company for automotive, consumer and enterprise markets, and Baidu, Inc. (NASDAQ: BIDU), the leading Chinese language Internet search provider, announced today a global partnership at the annual Baidu World conference. 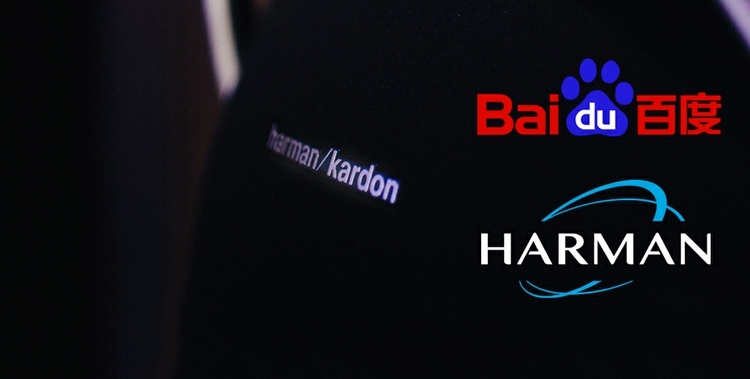 Through this partnership, HARMAN will deliver high-quality audio solutions to innovative speech-enabled smart speakers, integrated with Baidu’s advanced Artificial Intelligence (AI) technology. In January 2015, HARMAN Connected Car and Baidu entered into a strategic collaboration to launch CarLife, a vehicle networking solution that offers advanced Internet capabilities, entertainment features and location-based services on HARMAN's in-vehicle infotainment head units designed for the Chinese market. The new Kia K5 infotainment system developed by HARMAN Connected Car China is the industry’s first in-vehicle infotainment system with Baidu CarLife that passed the Apple MFi certification. The new system is compatible with both Android smart phones and iPhones, opening a new era for smart phones and car connection in the Chinese market.